Michael is currently undertaking his Honours year. He has an interest in population health, including Indigenous health policy. This emotive aphorism by Pearson embodies the struggle of Australia’s Indigenous people to gain control of their destiny, which for generations has been wrested from them into the power of governments. Although his statement was primarily directed toward welfare, the same right of responsibility can be applied to health, perhaps the gravest challenge facing the Aboriginal population. As Pearson alluded to, the only way to solve the health crisis is by enabling local communities to take charge of their own affairs. This principle of self-determination has led to the creation of Aboriginal Community Controlled Health Services (ACCHS), which has allowed over 150 Aboriginal communities throughout Australia control over their healthcare. This article describes the founding principles behind community controlled health centres in Aboriginal communities through considering several different ACCHS and the unique challenges they face. 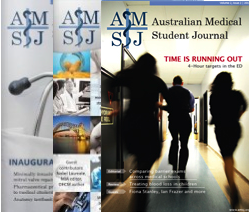 The author would like to thank the Australasian Faculty of Public Health Medicine for their generous support of this research through awarding the 2011 John Snow Scholarship for South Australia. Additionally, the author wishes to acknowledge the guidance of Dr Doug Shaw when preparing this work for presentation at the 2012 Population Health Congress. Pearson N. Our right to take responsibility. Cairns, Queensland: Noel Pearson and Associates; 2000. National Aboriginal Community Controlled Health Organisation. 2010-2011 Annual Report. Canberra, ACT: NACCHO; 2011. World Health Organisation. Declaration of Alma-Ata. Alma-Ata, USSR: WHO; 1978. Minkler M, Wallerstein N. Improving health through community organisation and community building: a health education perspective. In Minkler M, editor. Community organizing and community building for health. New Brunswick, USA: Rutgers University Press; 1998, 26-50. Stephens C, Nettleton C, Porter J, Willis R, Clark S. Indigenous peoples’ health – why are they behind everyone, everywhere? Lancet. 2005; 366(9479): 10-13. Horton R. Indigenous peoples: time to act now for equity and health. Lancet. 2006; 367(9524): 1705-1707. King M, Smith A, Gracey M. Indigenous health part 2: the underlying causes of the health gap. Lancet. 2009; 374(9683): 76-85. National Aboriginal Health Strategy Working Party. A national Aboriginal health strategy. Canberra, ACT: National Aboriginal Health Strategy Working Party; 1989. Burgess CP, Johnston FH, Berry HL, McDonnell J, Yibarbuk D, Gunabarra C, et al. Healthy country, healthy people: the relationship between Indigenous health status and ‘caring for country.’ Med J Aust. 2009; 190(10): 567-572. Marles E, Frame C, Royce M. The Aboriginal Medical Service Redfern: improving access to primary care for over 40 years. Aust Fam Physician. 2012; 41(6): 433-436. Foley G. Redfern Aboriginal Medical Service: 20 years on. Aborig Isl Health Work J. 1991; 15(4): 4-8. Hayman NE, White NE, Spurling GK. Improving Indigenous patients’ access to mainstream health services: the Inala experience. Med J Aust. 2009; 190 (10): 604-606. Zhao Y, Dempsey K. Causes of inequality in life expectancy between Indigenous and non-Indigenous people in the Northern Territory, 1981-2000: a decomposition analysis. Med J Aust. 2006; 184(10): 490-494. Deeble J. Expenditure on health services for Aboriginal and Torres Strait Islander People. Canberra, ACT: Department of Health and Family Services; 1998. Australian Institute of Health and Welfare. The health and welfare of Australia’s Aboriginal and Torres Strait Islander people: an overview 2011. Canberra, ACT: Australian Institute of Health and Welfare; 2011. Anderson I, Crengle S, Kamaka ML, Chen T-H, Palafox N, Jackson-Pulver L. Indigenous health in Australia, New Zealand, and the Pacific. Lancet. 2006; 367(9524): 1775-1785. Anyinginyi Health Aboriginal Corporation. 10/11 Annual Report. Tennant Creek, NT: Anyinginyi Health Aboriginal Corporation; 2011. Danila Dilba Biluru Butji Binnilutlum Health Service Aboriginal Corporation. Annual Report 2010. Darwim, NT: Danila Dilba Biluru Butji Binnilutlum Health Service Aboriginal Corporation; 2010. Steering Committee for the Review of Government Service Provision. 2012 Indigenous expenditure report: overview. Canberra, ACT: Productivity Commission; 2012. Australian Institute of Health and Welfare. Aboriginal and Torres Strait Islander health services report, 2010-11: OATSIH services reporting – key results. Canberra, ACT: Australian Institute of Health and Welfare; 2012. Australian Bureau of Statistics. Population distribution, Aboriginal and Torres Strait Islander Australians, cat. no. 4705.0. Canberra, ACT: Australian Bureau of Statistics; 2007. Cavanagh J. Medical Deans – AIDA: national medical education review. Canberra, ACT: Medical Deans Australia and New Zealand, Australian Indigenous Doctors’ Association; 2012. Mitchell M, Hussey LM. The Aboriginal health worker. Med J Aust. 2006; 184(10): 529-530. Pika Wiya Health Service Inc. Annual Report for Year 2007-2008. Port Augusta, SA: Pika Wiya Health Service Inc; 2008. Health Workforce Australia. Growing our future: the Aboriginal and Torres Strait Islander Health Worker project final report. Adelaide, South Australia: Health Workforce Australia; 2011. Lawson KA, Armstrong RM, Van Der Weyden MB. Training Indigenous doctors for Australia: shooting for goal. Med J Aust. 2007; 186(10): 547-550. Australian Medical Council. Assessment and accreditation of medical schools: standards and procedures. Part 2. Educational standards. Canberra, ACT: Australian Medical Council; 2006. Crump JA, Sugarman J. Ethical considerations for short-term experiences by trainees in global health. JAMA. 2008; 300(12): 1456-1458. Young L, Kent L, Walters L. The John Flynn Placement Program: evidence for repeated rural exposure for medical students. Aust J Rural Health. 2011; 19(3): 147–153. McDonnel Smedts A, Lowe MP. Efficiency of clinical training at the Northern Territory Clinical School: placement length and rate of return for internship. Med J Aust. 2008; 189(3): 166-168. Denz-Penhey H, Shannon S, Murdoch JC, Newbury J. Do benefits accrue from longer rotations for students in rural clinical schools? Rural Remote Health. 2005; 5(2): 414.